By partnering with TurnKey, you don’t need to be an expert in professional coaching — we are, and you don’t need to invest in the systems, processes, and personnel for managing a global offering—we have already. You already have the trust and relationship with your corporate customers. And, you already know, most corporations are streamlining their vendor base and looking for high quality partners across a broad spectrum of services. HR outsourcing firms, executive development firms, consultants, and other business service providers are expanding the services they offer to their corporate clients. At the same time, coaching is becoming more sophisticated and requires a higher degree of specialization and resource management. By partnering with TurnKey, firms can leverage our expertise and coach team to effortlessly increase revenue. We have the team of coaches, the infrastructure, program management, quality control, and expertise to be your ideal partner. Corporate Coaching Programs are an exciting NEW source of revenue for HR outsourcing, consulting, and other business service firms. The most surprising fact is that firms offering training and development programs have generally failed to provide systematic coaching for the participants. Coaching services are rarely offered because of the complexity and cost of recruiting and screening qualified contract coaches, managing a highly individualized matching process, and managing the multifaceted features of a comprehensive corporate coaching program. However, research has solidly confirmed that skills learned in training classes are substantially lost without follow-up coaching to reinforce learning. Your clients may be losing 87% of the benefits from training. Call us at 281-469-4244 to discuss how we can support your executive coaching program objectives. Our systems allow us to manage coaching contracts that are competitively priced and easily customized for each corporate client. We also have extensive learning and development resources that can be offered. There are a variety of ways to structure a program. Our objective is to custom-design each program and tailor each team of executive coaches to the exact needs and mission of each client. 1. TurnKey takes on the responsibilities and accountability for managing the coaching program in its entirety in support of the client’s internal HR staff or executive development firm. We assign a dedicated Program Manager, a single point of contact, who coordinates all activities with the company, provides seamless and regular communication and ensures timely coordination of all related activities. 2. Distribution and management of Coach Preference Surveys for each new coachee. 3. Selection and screening of potential coaches for effective matching process with coachee candidates. a. Each coach is individually selected to fit the coachee’s stated preferences and personal development goals or concerns. Maintaining a broad base of qualified coaches allows us to meet specific needs and preferences of coachees which significantly contributes to the overall success of the coaching engagements. b. Coordinates selection and interview process for multiple coaches when coachees desire to have a choice. 4. Regular communication with coachees about the elements of their coaching program and how to maximize this opportunity. We work with our client’s to establish a direct and open line of communication with each coachee, independent of their coach, to answer questions and troubleshoot issues in a timely manner. By building parallel relationships with each coachee, we facilitate better buy-in and ultimately deliver better results. 5. Special-needs problem solving. In some cases, issues may arise either at the start of an engagement or will be identified during the coaching process that require greater attention, a more tailored or intensive approach, and generally more management. We aim to address these issues quickly and efficiently. what internal resources are available, etc. 7. Independent quality control monitoring of coaching using regular communication, sophisticated systems and well documented processes. 8. Assurance and oversight of coachee satisfaction—including changing the coach if needed. 9. Collection of coachee and coach progress reports; consolidation and preparation of monthly participation and engagement reporting to the company. 10. Management and administration of company procurement requirements, such as vendor master account set-up and maintenance, detailed Statements of Work as needed (e.g. tailored program addendums), and vendor compliance requests. 11. General and professional liability insurance and corporate indemnification as requested. 12. 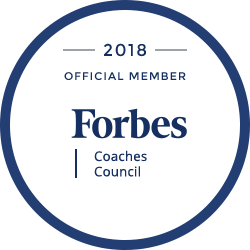 Recruiting, training, and management of a global pool of coaches to satisfy a broad array of coachee preferences. 13. Maintenance of a comprehensive Coaching Control Panel for assignments and coordination. 15. Optional in-person and virtual (teleseminars, webinars) training programs for targeted topics chosen by the company. Our mandate is for every program to be an unparalleled success for your clients and their leaders. We absolutely GUARANTEE the participants’ satisfaction with their coach. Further, we ensure ALL coaches are familiar with any specific corporate tools, instruments, or resources that are important to the program. Throughout the contract, we conduct team sessions to ensure that ALL coaches are developing and tracking appropriate and relevant success measurements or feedback loops. The ultimate success of the program will depend on the success of each individual coachee. Call us today for a no-obligation consultation – 281-469-4244.